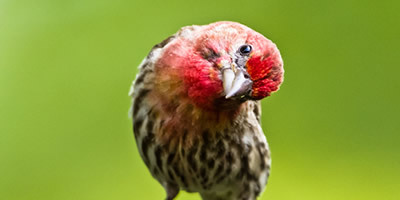 Sights and Sounds: Backyard Bird Watching and Listening! Let's get accustomed with the everyday songbirds in our backyard! You'll learn how they look, plus how they sound so that you'll be able to spot them once you get back to your own home. No extra cover charge. Wine will be available for purchase by the glass/bottle for your enjoyment during the event. Suggestions: Bring over your binoculars and books; smartphone apps are also helpful. We’ll show you how to use them if you aren’t familiar with yet. The event will take place just outside of our Tasting Room (no vineyard tours). Lawn chairs and/or blankets to lay on will be convenient to your comfort. Rain or shine so get your rain gear handy when it’s wet. We plan to have a pop-up tent when rain is expected. However, if it’s pouring or storms are expected, we may cancel the event. Follow us on Facebook for the up-to-date information. Questions? Call or email Fumie! 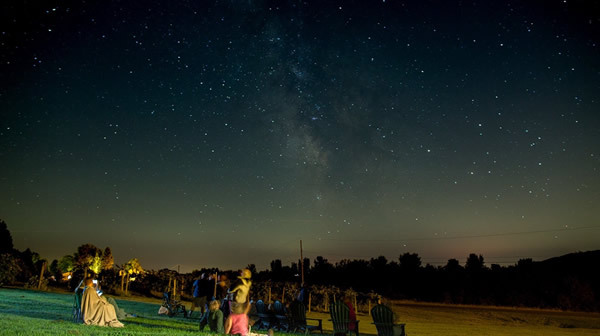 We extend our regular Wine Tasting Room Hours from 6 pm until sunset prior to Starry Starry Night. 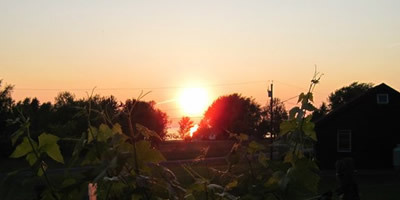 Come and enjoy a casual wine tasting or a glass of our award-winning wines while watching the sunset over Lake Ontario. No extra cover charge. Learning the Stars & Constellations: Fumie hands out a star chart and talks about the celestial bodies we’ll be visiting shortly. She introduces some Eastern star tales she grew up with along with Greek/Roman mythology associated with the constellations to be observed. When an International Space Station (ISS) flyby is anticipated, we’ll take a break from the talk and go outside to spot it. Stargazing! We then walk out of the Tasting Room to the backyard for actual stargazing. See how many constellations you can find! Fumie is there to guide you. Bring over your binoculars, lawn chairs, bug spray, blankets to lay on --- anything to have an enjoyable experience! Dress appropriately --- long pants and sneakers or walk shoes/boots would be necessity as the lawn will likely be wet from the dews. Note: Starting time varies as the sun goes down at a different time each day. It is expected to last about 1 ½ hour. There is no cover charge to join the stargazing. We don’t conduct any winetasting once the talk starts; however, wine is available for purchase by the glass/ bottle to accompany you. Though actual stargazing is weather permitting, the talk will be held as long as there is an interest. Any questions? Just ask us! Taste pre-release and newly released wines, spirits and ciders. Enjoy special access to some production areas. Travel the Trail at your own pace with this self-guided tour. Learn more and buy tickets here. Experience the flavors created by pairing sweet and savory foods with selected wines, spirits and ciders. Each participant will offer pairings to tease the palate. Join us for our Annual Holiday Tour along the Lake Ontario Wine Trail! Celebrate the season with festive wine and food pairings from around the world! This is a self guided tour.